Top dermatologists discuss the nine best natural skin care products with ingredients that we come across on a daily basis. In these health-conscious times where green smoothies have replaced black coffee as the go-to drink and many of us religiously research the provenance of our food, it’s only natural that such an interest would also extend to what we apply to our skin, the largest organ of our body. Skin care products boasting all natural or organic ingredients derived from plant-based sources are in vogue, and for good reason. Many natural skin care products can be found on the shelves of your local supermarket or drugstore and are remarkably affordable, sustainable, abundant, and ironically, can often be consumed as food. However, whilst anecdotal evidence from women’s magazines, celebrities or your next door neighbor may argue in favour of natural beauty products, what do the professionals think? How do natural products stack up against their high-end beauty product counterparts? The following list explores nine renowned natural skin care products frequently recommended by dermatologists, each being free of artificial colors, artificial fragrances and harmful chemicals. Cleansers, toners, lip balms, moisturizers and gentle exfoliators: all bases are covered with these natural powerhouses of goodness, most of which can be applied directly to the skin in their raw and unrefined state. How wholesome is that? Since antiquity honey has been used as a natural moisturizer due to its high volume of fructose, which attracts and clings to water molecules. 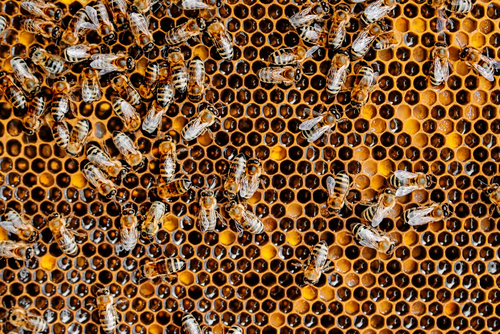 Dermatologist Dr Peter Molan, whose extensive research has investigated the benefits of honey for the skin, explains that recent scientific studies have revealed honey’s potency as a natural skincare product lies in its unique bioactive properties. These bioactives not only stimulate the growth of new blood capillaries in damaged tissue, but also collagen production and the growth of new epidermal cells. Better, honey has powerful anti-inflammatory qualities, soothing irritated skin, and is naturally high in antioxidants and alpha hydroxy acids such as gluconic acids, which loosen the bonds between dead skin layers, facilitating shedding. Global attention has recently turned in particular to manuka honey, a variety of honey found almost solely in New Zealand that is produced by bees which harvest pollen from the manuka flower. Manuka honey is almost 100 times more potent than other varieties of honey due to its enhanced antimicrobial properties and healing capacity. It also works as a humectant, drawing moisture into the skin, deeply hydrating and nourishing it. 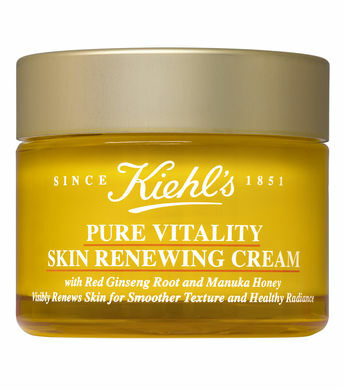 Applied in its raw and unrefined form, this honey is thick and sticky, but in natural skin care products such as Kiehls Pure Vitality Skin Renewing Cream it has been harnessed to be more manageable. Pure Vitality Skin Renewing Cream 50 ml. Natural oils extracted from plants have been applied as topical skin treatments throughout human history. Among these, sunflower seed oil (Helianthus Annuus) has recently captured the interest of dermatologists as it’s been clinically proven to hold a wide range of benefits for the skin. Experimental trials published in the Journal of Investigative Dermatology demonstrated that application of sunflower seed oil significantly increased the quantity of lecithin detected in participants’ skin and lowered the rate of transepidermal water loss. The dermatologists who conducted the study speculate that the cause of this skin alchemy is linoleic acid, an essential fatty acid present in sunflower seed oil which maintains the skin barrier and has been been scientifically proven to treat UV induced sun-spots and reduce acne breakouts. Sunflower seed oil also provides a rich source of vitamin E, one of nature’s most powerful natural antioxidants. Antioxidants are widely recognized by dermatologists to be the most effective means of neutralizing free radicals that cause oxidation and accelerate the aging process of skin. Sunflower seed oil in its pure form is light, easily absorbed into the skin, and so gentle it can be used on babies. However, it is also effective in skin creams such as Weleda Skin Food, which boasts sunflower seed oil as its main active ingredient. Long cherished by women around the globe ever since its release in 1926, Skin Food is composed entirely of natural, organic, bio-dynamically sourced plants and essential oils. Lurking at the back of your pantry lives this gem, a quiet overachiever of natural beauty. Apple cider vinegar has been widely touted as a potent natural astringent, effectively treating common skin ailments such as psoriasis and acne. While scientific studies have not yet been conducted to test the claims that apple cider vinegar holds clinical benefits, board-certified Austin dermatologist Dr Miriam Hanson explains that the malic acid present in apple cider vinegar has powerful antiseptic properties and efficiently removes excess bacteria and oil build-up in skin, reducing breakouts. Malic acid is an alpha hydroxy acid which functions as a mild skin exfoliator, sloughing away dead and damaged skin cells. Dr Hanson adds that many people consider apple cider vinegar to be a natural toner, applying it to cleanse the skin of impurities with some individuals also enjoying a skin-tightening effect as a result of its use. Apple cider vinegar has been said to balance the skin’s pH, restoring skin to its natural acidity levels, and is high in beta-carotene, an antioxidant which combats free radicals at a cellular level. 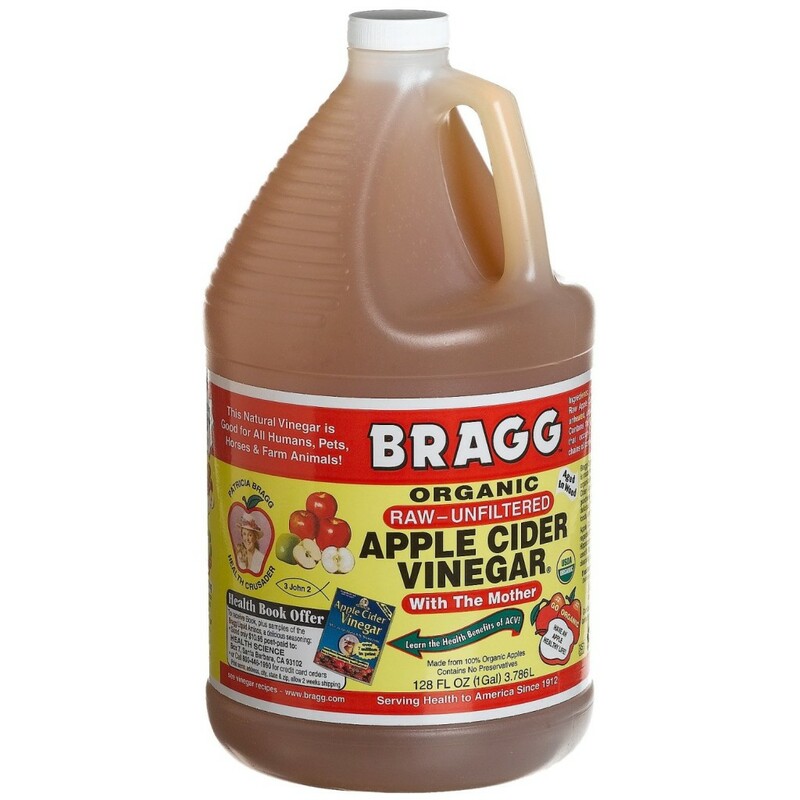 Try Bragg’s Organic Raw Apple Cider Vinegar as a toner by blending with water in equal parts. Apply to a cotton cloth or cotton wool and gently swipe over the face, then rinse with warm water. The coconut has enjoyed increasing accolades in recent years as a superfood and incredible natural moisturizer. Recent beauty trends have seen women (and men) of all ages and backgrounds rushing to slather on the fragrant natural oil in vast quantities. However, the benefits of the humble coconut are also well-documented by scientific literature and dermatological research. Virgin coconut oil (coconut oil which has not been altered, deodorized, chemically refined or bleached) has been proven to be effective in clearing 95% of bacteria colonies that cause atopic dermatitis. Another study pitted virgin coconut oil against mineral oil to test moisturizing efficacy in treating patients with mild to moderate cases of xerosis (abnormally dry skin). Coconut oil was found by researchers to be as effective, if not more effective in some cases, than mineral oil as an emollient, resulting in increased skin hydration and surface lipid levels. Coconut oil can also be applied as a gentle enriching moisturizer for the sensitive areas just under and around the eyes, helping to diminish the appearance of fine lines. Look for organic and unrefined coconut oil which still contains naturally-occurring polyphenols and phytonutrients. 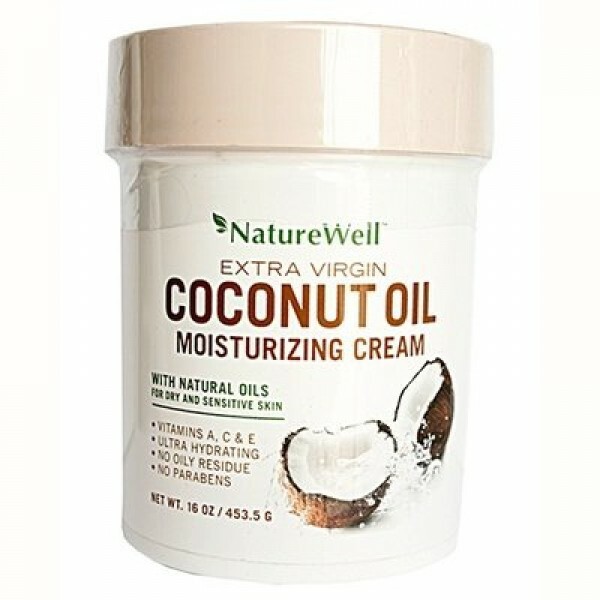 Try NatureWell Extra Virgin Coconut Oil Moisturizing Cream. Legend has it that a Chinese Emperor noted a delicious aroma when some green tea leaves felI into a pot of boiling water, and upon sipping the new brew, declared the drink to be heaven-sent. From that moment on, green tea, a derivative of the plant Camellia sinensis, has been celebrated in China as a natural remedy with a broad range of applications. Such assertions have also been echoed by the scientific community, with many experts praising its anti-inflammatory, cardio-protective, anti-diabetic, antibacterial and antiviral effects. In the West, the dermatological benefits of green tea are highly acclaimed, with topical application or oral consumption of green tea extract proven to be effective in treating acne, rosacea, alopecia and atopic dermatitis. Green tea extract is is one of the most researched antioxidants in history, renowned for its anti-aging properties which provide a rich source of catechins and vitamin C to address the damage caused by UV rays, pollution and chemicals. The tannins in green tea, which are a natural astringent, are also excellent in reducing puffiness and swelling under the eyes, working to constrict the blood vessels and capillaries. 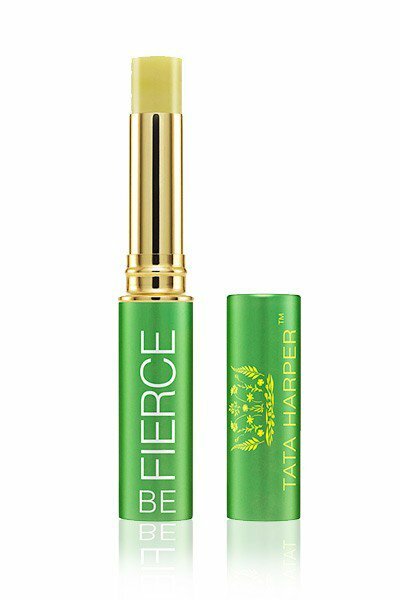 Try Tata Harper’s Be Fierce Lip Therapy, infused with green tea oil for lip protection against the elements. The consistency of argan oil has been likened to silk, and with good reason. Argan oil hails from the argan fruit of Morocco, pressed to release a luscious golden oil which deeply nourishes the skin and hair, and functions as a potent treatment for rashes, infections and bites. Like many other natural skin care products, Argan oil is rich in antioxidants, vital for combating free radicals. However, it is also effective in regulating oily skin. A 2007 study in the Journal of Cosmetic Dermatology found that a sebum-control cream containing argan oil regulated and decreased oily skin in 95% of the subjects in the study. The healing and nourishing properties of this liquid gold are due to its high volumes of vitamin E and vitamin A. External application allows the skin to drink in the benefits of vitamin E and increases cell production. Argan oil is also gentle enough to use around the eyes and doesn’t leave the skin with an oily residue after application. According to the experts, a single drop should be warmed in the palm of your hand, then applied with gentle circular motions onto clean skin. While many high-end beauty products include argan oil extracts in their products, pure argan oil offers a rich, unrefined source. Pure argan oil of high quality should smell nutty, appear slightly cloudy and have a little sediment sitting at the bottom of the bottle. 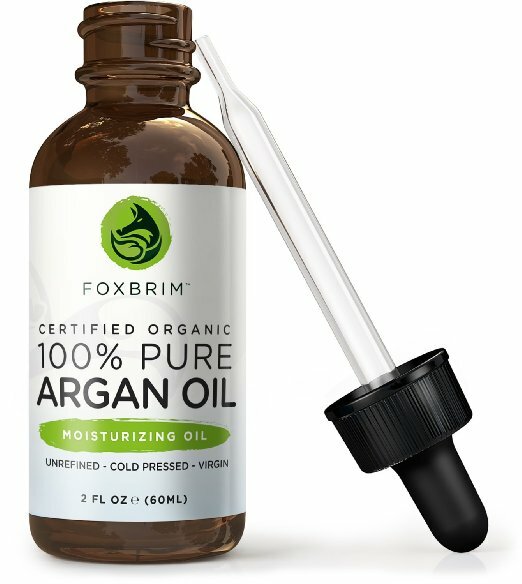 Try Foxbrim Organic Argan Oil. The pungent and deeply clean scent of tea tree oil is likely familiar to most people. Extracted from the Australian Melaleuca alternifolia plant, tea tree oil is a herbal healing agent par excellence, boasting broad-spectrum antimicrobial protection against bacteria, viruses and fungal infections of the skin, along with possessing crucial anti-inflammatory properties. This impressive range of attributes renders it powerful in the treatment of cystic acne, dermatitis and psoriasis, with one study cited in the Dermatology Times claiming tea tree oil to be as effective as benzoyl peroxide, only better tolerated by acne patients. Tea tree oil also accelerates the healing of wounds and was reported by the International Journal of Dermatology to exhibit anti skin cancer activity. However, its potency can also irritate sensitive skin, and depending on the concentration of the oil, should be appropriately diluted before application. Tea tree oil extract is commonly found in antibacterial soaps, shampoos, or cleansers such as Tea Tree Skin Clearing Facial Wash from The Body Shop, a face wash with tea tree oil suitable for acne sufferers. The Body Shop Tea Tree Skin Clearing Facial Wash for Blemish-Prone Skin, 100% Vegan, 8.4 Fl. Oz. A rich natural emollient with an intoxicating scent, shea butter has been recognized by the American Academy of Dermatology as a highly effective moisturizer suitable for sensitive and dry skin, locking in moisture for 8 hours or longer. Shea butter is sourced from the fat of the African shea nut. Like many of the natural skin care products discussed above, it too claims anti-inflammatory properties. However, it also boasts the ability to help restore skin elasticity and minimize the appearance of scars and stretch marks. Its high concentrations of vitamins E, A, catechins, plant antioxidants and essential fatty acids, such as stearic and oleic acids, help ward off the signs of aging, with this claim supported by a study in the Journal of Life Sciences which confirmed shea butter boosted collagen production. Shea can be applied in its pure, raw and unrefined form, when it is most potent, or as an extract in ointments or creams for face and body care. The American Academy of Dermatology recommend the use of creams or ointments containing shea butter over lotions as they are more effective at hydrating the skin. It also works as a beautiful lip balm, protecting and soothing the lips. 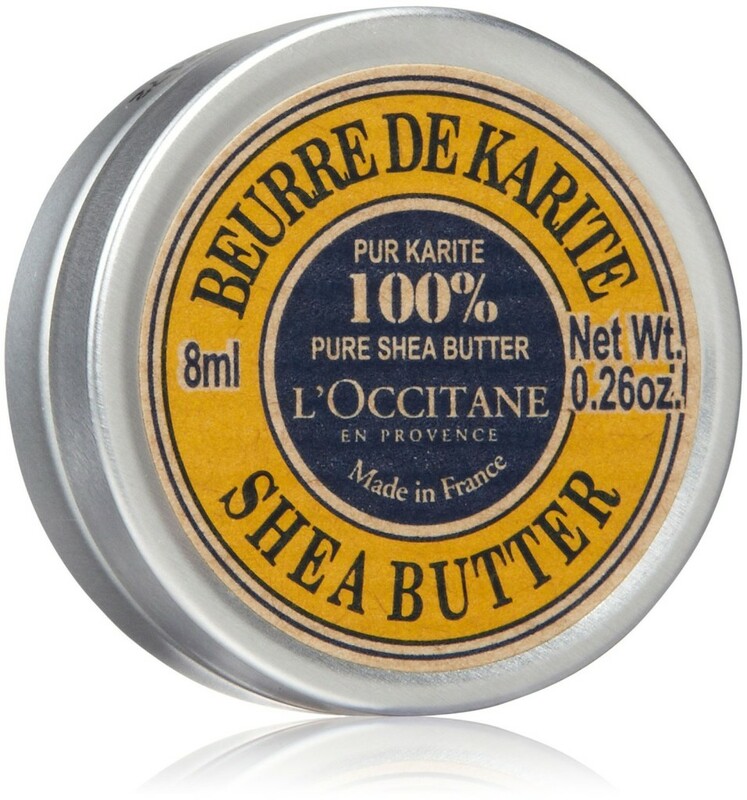 L’Occitane is renowned for its nourishing Shea Butter line, with its popular Pure Shea Butter a 100% natural, organic, fair-trade product. Evocatively named, many consider witch hazel to be a natural beauty must-have in every bathroom cabinet. In a Huffington Post review of witch hazel, dermatologists sang its praises as one of nature’s oldest and most effective beauty products, citing its primary use as a highly efficient natural astringent. Witch hazel is most popularly applied as a toner, balancing the face’s pH levels and cleaning clogged pores of excess oil and debris, leaving the skin feeling refreshed and glowing. With its astringent properties, however, it is also an excellent spot treatment, reducing redness and inflammation while helping to inhibit further breakouts. Dermatologists recommend using witch hazel that comes in oil form and is free of alcohol to better prevent the skin from drying out. 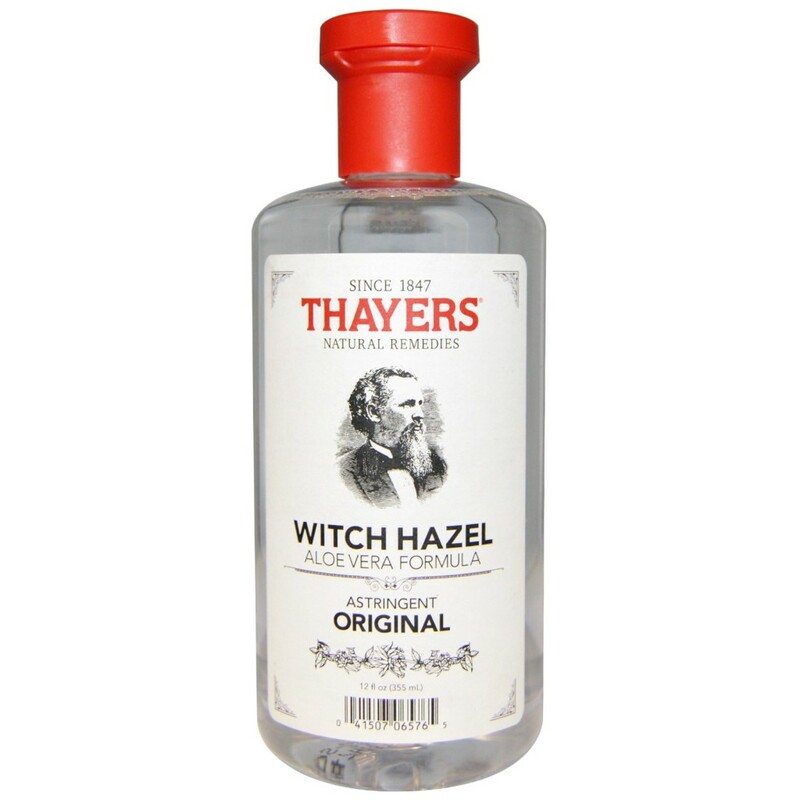 Try Thayers Original Witch Hazel Toner, which is alcohol free and boasts soothing aloe vera extracts.